Product prices and availability are accurate as of 2019-04-22 23:39:28 BST and are subject to change. Any price and availability information displayed on http://www.amazon.co.uk/ at the time of purchase will apply to the purchase of this product. 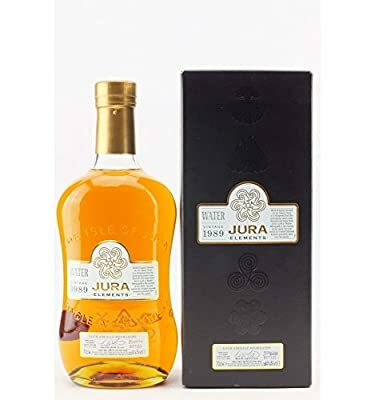 Single malt Scotch whisky from the Jura distillery, released as part of their Elements range. The 'Water' expression was the oldest of the quartet released for the Elements range, being distilled in October 1989 and bottled in 28, with an ABV of 49.6% and an outturn of 624 bottles.